Entice has made “Tattooed Heart” eye makeup for Catwa heads! Available for a limited time at The Makeover Room event! We have also put a gift of nails out for The Makeover Room VIP group members. 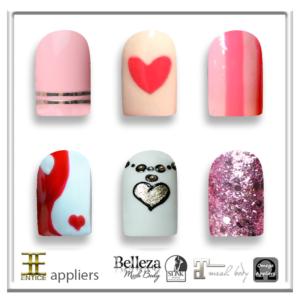 The nails have appliers for Slink, Maitreya, Belleza and Omega. http://entice.fashion/wp-content/uploads/2016/11/NEW-ENTICE-LOGO-Header-3.png 0 0 Jolene http://entice.fashion/wp-content/uploads/2016/11/NEW-ENTICE-LOGO-Header-3.png Jolene2017-02-02 16:32:152017-02-02 17:56:39Entice @ The Makeover Room! Entice @ Buy Now! Entice @ The Coven!